Original French version of les vêpres siciliennes, from de Nederlandse Opera, directed by Christof Loy, due for release by Opus arte in September. Nederlandse opera = Regie feast, no? Any hints on what they did to the work? Yes, I saw that, and right after you posted your review that bumped up the rating, they increased the price! Updated it to the forties, of course. That could work. I'm getting it anyway. In both the staging was very minimal but the Personenregie well thought out. So Annie, since you've seen the Dream Team Tosca, do you know if any of the performances were filmed? Any chance the rest of us will get to see it streamed or (even better) on DVD? and one of them will be shown in cinemas later this year and I think a composite will be released on DVD. The Dream Team were together for these two performances presumably for this specific purpose. Continuity might be a problem. Audience stayed silent after Recondita on the Thursday but applauded on the Sunday. (from his body language Pappano was not happy with the applause but it does interrupt the music). Also Scarpia head-butts Cavaradossi on the Sunday but not on the Thursday. I am trying to get my hands on a couple of new DVDs. These are Katia kabanova with matilla from the Teatro Real in Madrid. But, I never seem to like the productions from this opera house, the Opus Arte range always are terrific quality but the stage seems so big! Anyone seen this DVD yet? I watched the Kabanova live at Teatro Real, it was a beauty to behold, and Mattila was superb. I don't know the one by Tcherniakov, but I do know the one by Carsen and find it pretty good. 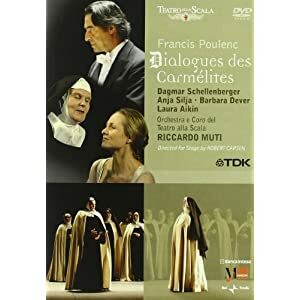 By the way, for me the best part of Dialogues des Carmélites is its extraordinary libretto. It was written basically by Poulenc himself, based on the original drama by Bernanos. 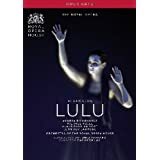 Funny enough, the origin of this all is a pretty insubstantial novella by an unkown author, Gertrud von le Fort... Wouldn't be interesting to incorporate the Dialogues into our opera in-depth project?. It certainly would. I think mamascarlatti is another fan of it. I am indeed, and mainly because of the libretto. 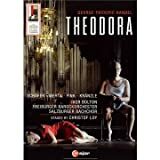 Courtesy of the indefatigable Opera Video Collector, here is a possible future Monteverdi release on DVD. Blood and guts indeed , but appropriate considering the subject matter. Is that one coming? Great! I've heard a lot of good things about that production. And Birgitte Christensen (whom I believe sang Poppea) is fab. She sang Mahler 4 here last summer. I don't get the "TV-opera in four episodes", though. All times are GMT +1. The current date and time is Apr-25-2019 11:33.